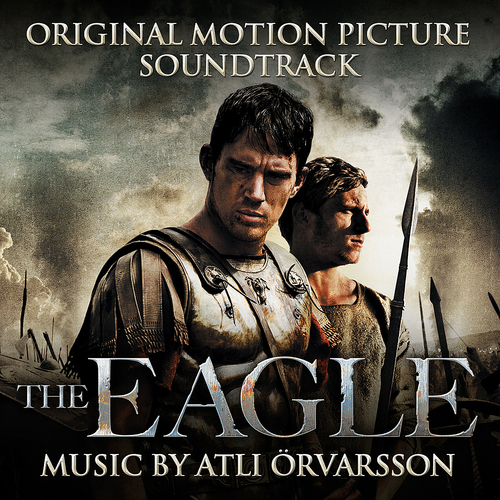 Composer Atli Örvarsson’s epic and exciting Celtic-flavored score to Kevin Macdonald’s Roman adventure. Based on Rosemary Sutcliff’s classic novel The Eagle of the Ninth, the story is set in 2nd-Century Britain and follows two men on their dangerous and obsessive quest to solve the unexplained disappearance of the entire Ninth Legion in Scotland. Starring Channing Tatum, Jamie Bell and Donald Sutherland. Atli Örvarsson is rapidly joining the ranks of Hollywood's most dynamic young film composers. His recent film scores include Season of the Witch, The Code, Vantage Point and Babylon A.D. In 2006, Örvarsson joined Hans Zimmer’s state-of-the-art musical "think tank" Remote Control Productions where he collaborated with Zimmer on several scores, including Pirates of the Caribbean: At World's End, Angels & Demons, The Simpsons Movie, and The Holiday. As winner of the renowned Pete Carpenter Fellowship for young composers, Atli moved to Los Angeles in 1998 to join Mr. Post's team as composer and orchestrator on all three Law and Order series and NYPD Blue. Atli √ñrvarsson - Out Swords! Atli Örvarsson - Out Swords!